Landscape architects do many things. They design parks, plazas, green roofs, gardens, public art, fountains … and the list goes on. It is a broad and flexible field with professionals working across many sectors. Landscape architects design and plan outdoor spaces. When working on residential landscape architecture, we design and plan gardens, plantings, pools, paving, stormwater management and more. 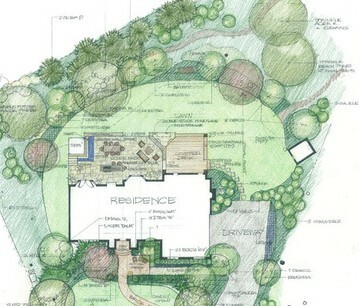 Landscape architects are licensed and trained to design landscapes, not to build them. This means that we work primarily through design drawings to collaborate with clients, architects and tradespeople. To become a landscape architect you usually have to study a landscape architecture degree at a university accredited by the Australian Institute of Landscape Architects. Alternatively, you can study a related field, such as design, followed by a postgraduate qualification in landscape architecture. The AILA provides professional recognition for landscape architects. Professional recognition includes an annual commitment to continue professional development. Once recognised, AILA landscape architects use the title “Registered Landscape Architect”.